Senator Marco Rubio and I discussed the dangers of “deepfakes” – artificial intelligence-powered fake videos that can impersonate real people. Bill Gertz broke the story in the Free Beacon. “Michael Waller, an information warfare expert, said deepfakes also could be used by U.S. intelligence agencies for offensive information warfare operations against hostile states or terrorist groups,” Gertz reported. “‘Obviously the U.S. can use deepfake capabilities against foreign adversaries, but American intelligence has, with a few exceptions, been so poor at strategic messaging already, that the technology is far more of a boon to our adversaries than it is to us,” said Waller, vice president of the Center for Security Policy. DARPA, the Defense Advanced Research Agency, has set up a forensic group to detect deepfakes, Gertz reported. “I just think people in the press moving forward, particularly with high profile figures and if what they’ve captured seems to be extraordinary, I think they need to be a little bit more careful in reporting on some video that shows up until they can absolutely verify it because especially near an election date, our predisposition to want to believe things that are over the top makes us very vulnerable to this being used against us to disrupt democracy,” Senator Rubio said. 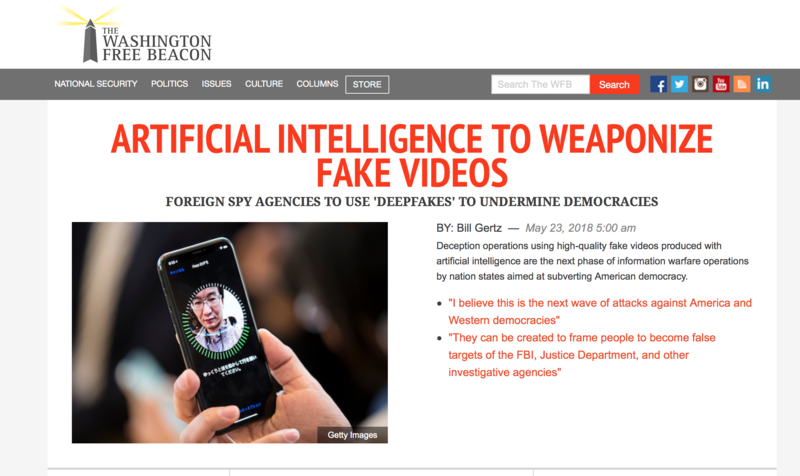 “Waller, the information warfare expert, said deepfakes have the potential to inflict serious harm to U.S. and allied interests,” said Gertz. “They can be created as phony raw intelligence designed to mislead our intelligence collectors and analysts and lead them down the wrong trails,” Waller said. 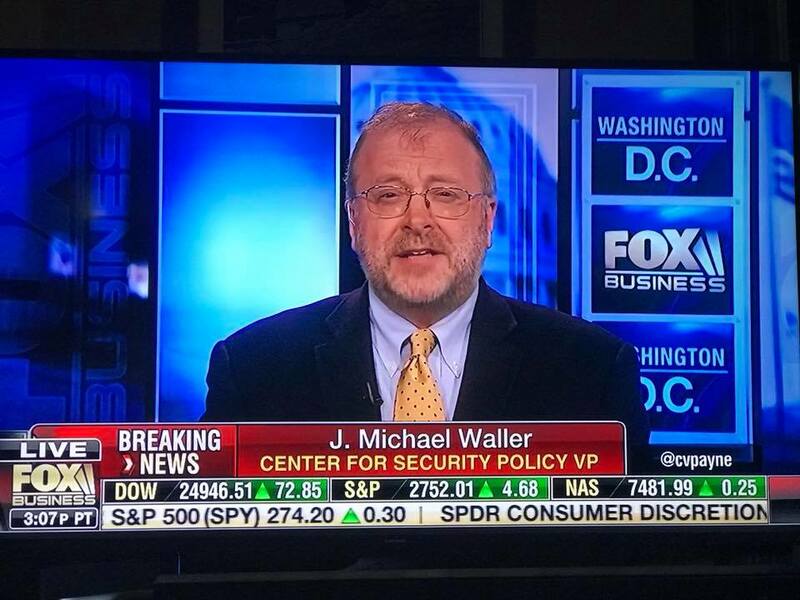 “Waller said China, for example could use sensitive information stolen from cyber attacks against U.S. networks for years to create deepfakes that could discredit Americans involved in military, intelligence and security affairs, or to blackmail them into becoming agents. “‘This means that China can target American diplomats, political appointees, military personnel, and intelligence officers based on their personal weaknesses, vulnerabilities, personalities, and psychological traits by using the raw data stolen from [Office of Personnel Management] records,’ Waller said.